Wow, that's just painful to read. I thought the rule was three strikes and you're out? Still, you have to admire his persistenace, the last one only failed 2 days ago. "We are a group of nerds who grew up as part of the gaming community and enjoy all forms of it. We came up with the idea to start a game company. After much deliberation we decided to start with a tabletop rpg...this idea came about during a dungeons and draons campaign. We intend to branch out into all forms of gaming: video, tabletop, apps, maybe even board games." I've backed a few custom dice projects (3, I think). 2 of them were from Cosmo-Joe Watkins, who I recommend and would back again. The 3rd was "You Need These Dice" and while those dice I got were cool the guy has had massive delays in fulfillment and I think burned a lot of KS goodwill. This has already gotten 1/3 its way to funding?! Yeah, how does this already have over $1,000?!? Seriously, I want to know. @Venger - Probably because it was mentioned by Tenkar. :) Even bad press is good press, as they say. Does this guy even realize (in fact, doesn't most of the gaming community realize, that you can get custom dice made by Chessex fairly easily? For a Run of 100, it costs $0.60 per side to get a custom image. So for 1 facing to be customized for 100 of each die type (7 different dice) that is $4.20 additional per set. The base cost is still under $10 per dice set. This guys Numbers are Wack. 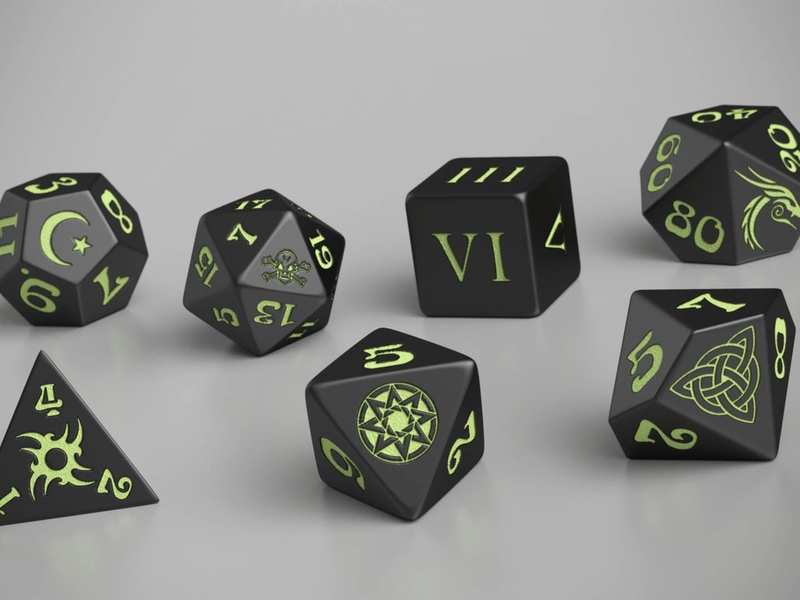 And what is it with all the "Custom" dice Kick Starters anyway when, If I really want some Dice unique for me and My magic Missiles, I can jsut order a couple sets myself from Chessex?